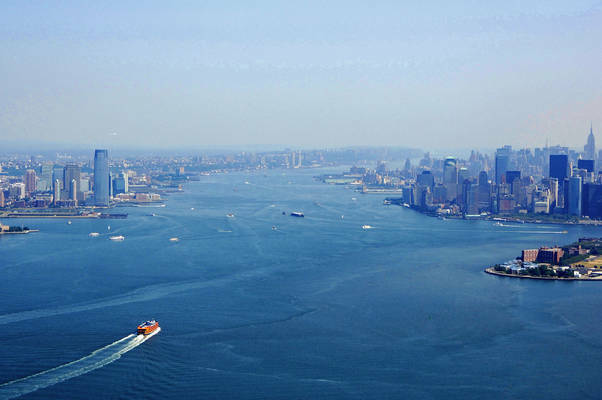 One of the great cities of the world, downtown New York City is located on the East and Hudson Rivers on Manhattan Island. New York City is equidistant (180 miles) from both Boston and Baltimore. 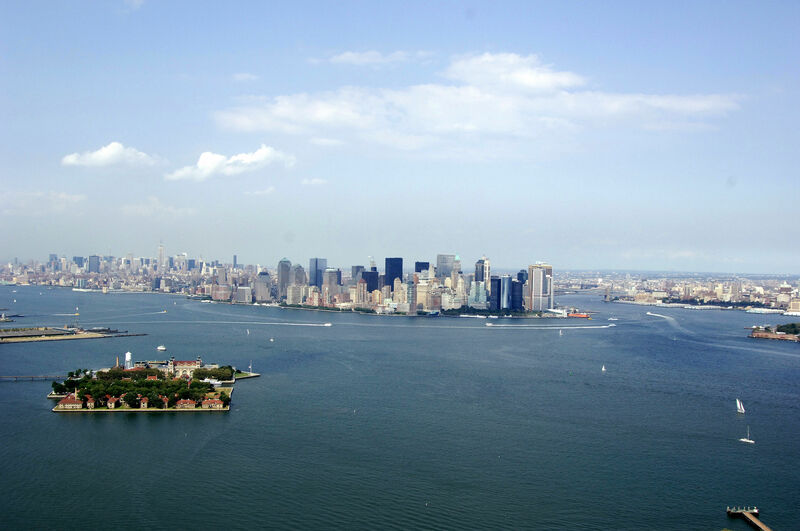 The population of all of New York Citys boroughs is approximately eight million people. 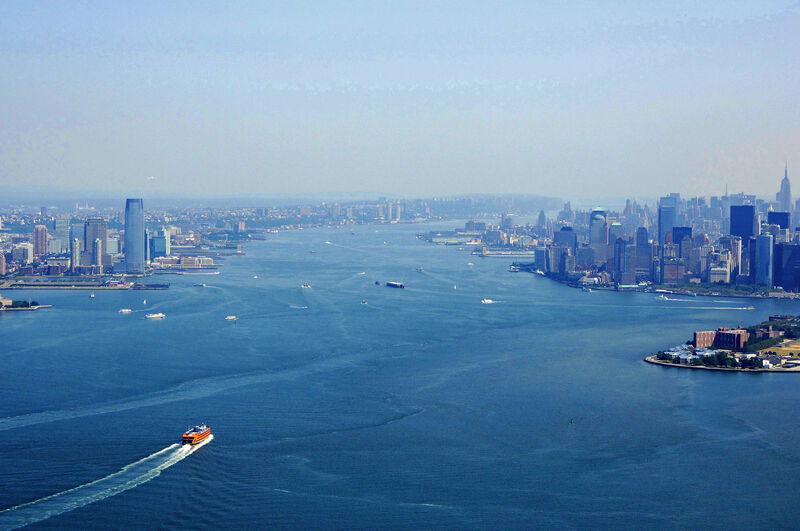 Manhattan Island splits New York Citys Upper Bay into the Hudson and East Rivers. 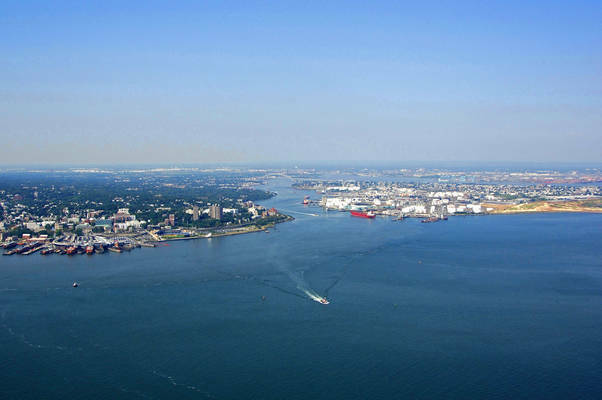 The mighty Hudson River leads 300+ miles up into upstate New York State and offers access to the Great Lakes via the Erie Canal, while the East River leads nine miles north to Long Island Sound. Most of the marinas in New York City proper are located on the Hudson River side of Manhattan from Chelsea down to The Battery. Alternate dockage can be found across the river in Jersey City. 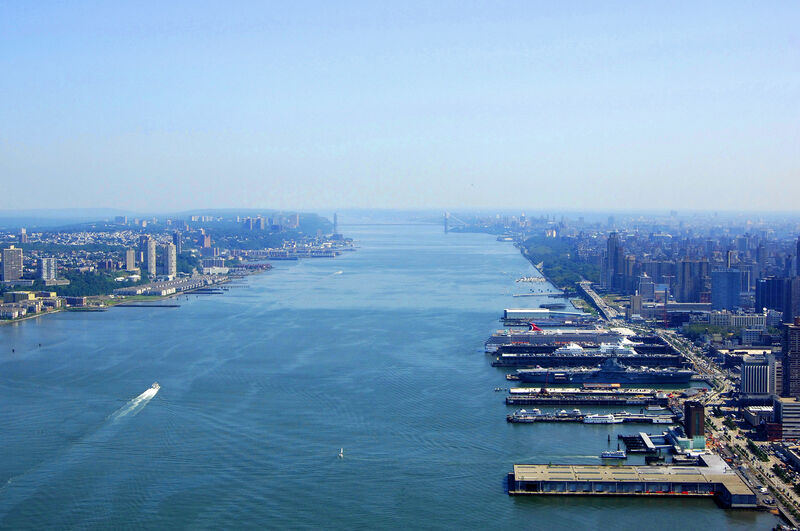 For East River travelers, the choices are limited. Henry Hudson discovered New York Harbor in 1609 and reported the protected harbor and rich farmland to the Dutch West India Company. It was decided to establish a trading post around the southern area of what was called Manna-hata Island. 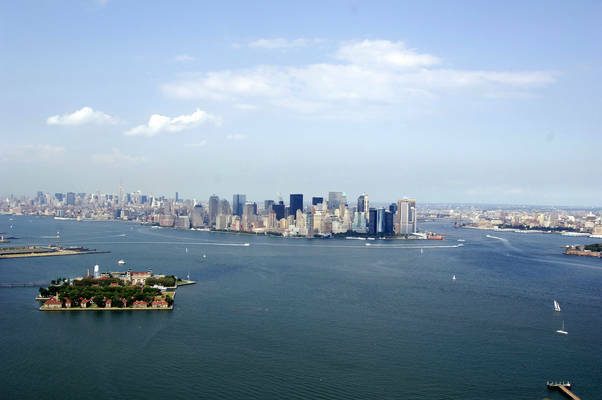 By 1626, the Dutch settlement of New Amsterdam, and the New York Harbor was established. Slowly, New Yorks initial settlements moved to the north. Farms were created and trade around New England was common. By 1700, close to five thousand people were living in the area and The Kings Bridge was developed to provide access to the Bronx. New Yorks population continue to grow and just before 1800, it became the United States biggest city. Trade boomed and New York became a powerful place of commerce. By the mid-1800s, New York Harbor exchanged more cargo than anywhere else. Use NOAA Charts 12402, 12334 and 12335. 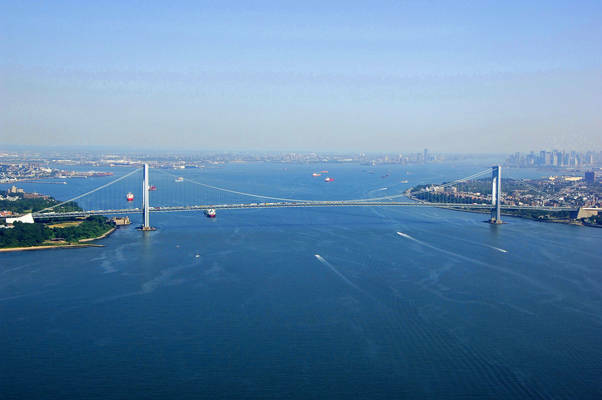 Most boaters approach the New York City area via the Verrazano Narrows and Upper Bay. If you wish to navigate to New York City via the East of Hudson Rivers, check out our East River Inlet and Hudson River Inlet articles by browsing New York State inlets. As with any busy commercial area, you must stand a vigilant watch for ferries, tugs, barges and commercial freighters. The likelihood is that they cant or will not stop or give way for you. Additionally, you must keep your distance from such famous landmarks as The Statue of Liberty, Ellis Island and other sensitive areas inside the harbor. If in doubt, call the local Coast Guard on the VHF for details. 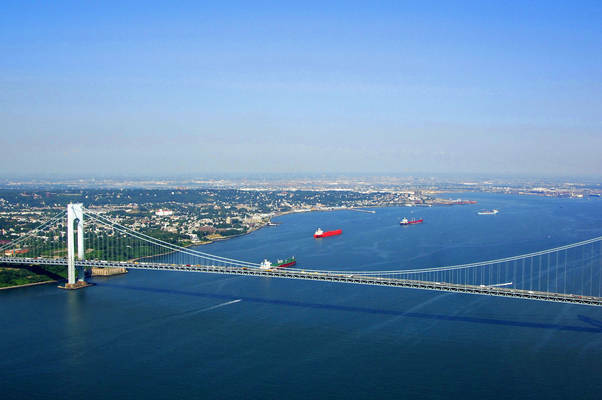 From the Lower Bay at Verrazano Narrows, you must first navigate through the Verrazano Narrows Bridge (198-foot fixed vertical clearance). Once you have cleared the bridge, set a course for quick flashing red 2 to the north, and then on to flashing red buoy 22. At this point you will work your way up the Anchorage Channel toward Governors Island, making sure to steer clear of any commercial traffic along the way. 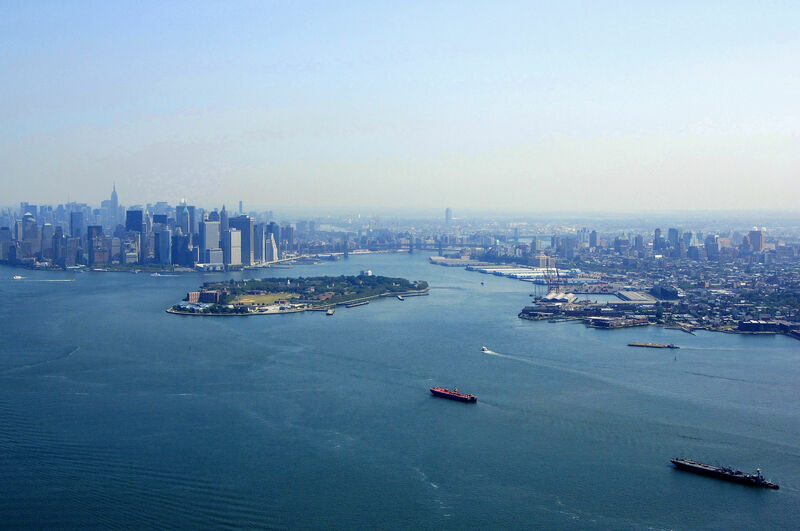 As you pass Governors Island, the famous Manhattan skyline will open up even clearer, and you will be able to see the East River entrance to starboard, and the Hudson River to port. You could spend weeks in New York City and never see every attraction that is available. Of particular interest to boaters is the South Street Seaport Museum on the east side of Manhattan at Piers 16 and 17. With hundreds of in-the-water and shoreside displays that take up over 12 blocks, many visitors take two days to see it all. If youre ever around New York Harbor in May, Fleet Week is a must see event. Hosted by the United States Navy, Marine Corps, and Coast Guard, active and recently deployed military ships dock in New York Harbor for guided tours and special events. The best bet for enjoying yourself in New York City is to plan ahead and decide exactly what you want to see ahead of time. For detailed hints on what to do, see the Helpful Links section below for details. New York City has one of the most well developed and extensive transit systems in the world. From its subway and commuter trains to the world-famous yellow cabs the shuffle along the city streets, there is just about nowhere you cant get to in the city. Outside the city are three large airports: Laguardia, JFK and Newark (all reachable by public transportation). Amtrak service from up and down the east coast arrives in New Yorks Penn Station around the clock. No reviews yet! 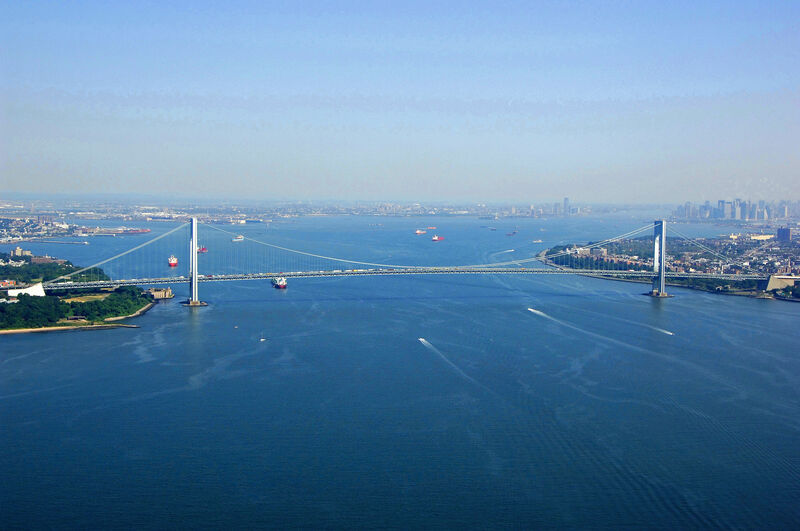 Be the first to write a review of New York Harbor.